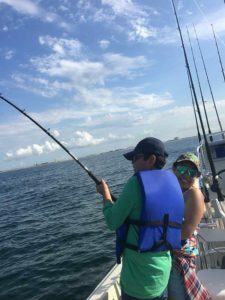 "Captain LG knows Galveston like the back of his hand and will put you on the fish!" 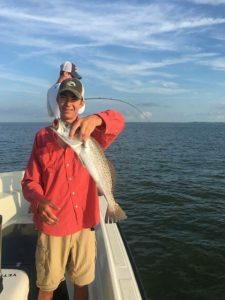 Catch speckled trout, redfish & more in Galveston Bay. 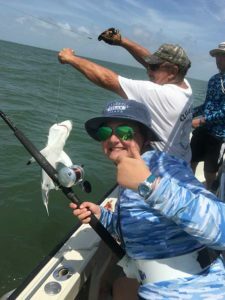 Catch a variety of shark species nearshore in the Gulf. 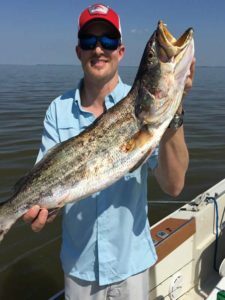 Artificial Lure Guide in Galveston! Capt. LG Boyd was born and raised fishing the waters of the Galveston Bay Complex. 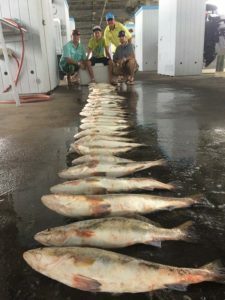 His experience and intimate knowledge of bottom structure, fish migration patterns and tidal/moon phases makes him uniquely qualified to find fish consistently. 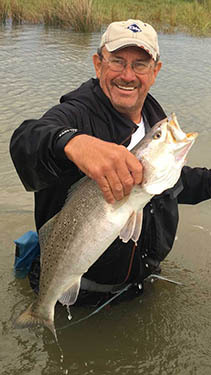 With his 30+ years experience as a Galveston fishing guide you are sure to receive the angling experience you deserve! When you fish with Capt. 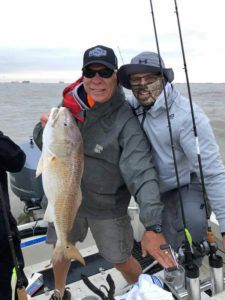 Boyd he will provide you with quality rods & reels, spin casting or bait casting, all new tackle and the latest up to date artificial baits for your Galveston bay fishing trip. Capt. LG Boyd will also fillet and package your fish at the end of the day. 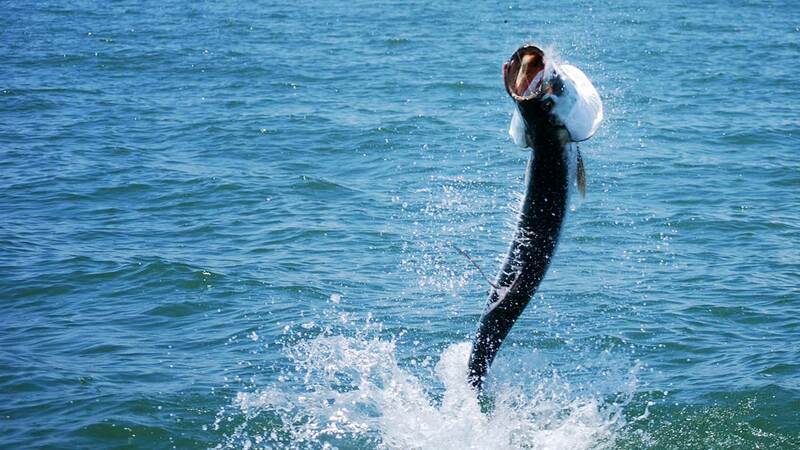 The Galveston Bay Complex is well known for it's excellent fishing all year long. 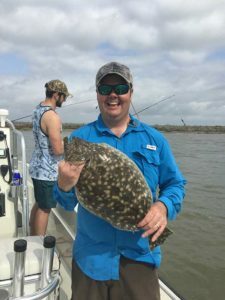 The Galveston Bay Complex is the largest estuary on the Texas Gulf Coast and is considered as one of the very best fisheries in the state of Texas! 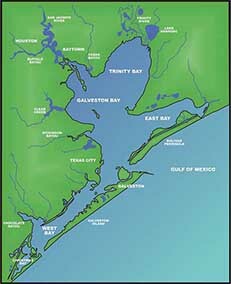 The Galveston waters produce a huge variety of diverse saltwater species during the entire year. No matter when you want to fish, Captain LG will put you on the fish! Keep up with all the fishing action! I have been fishing with Capt. Lg Boyd for the last 10 years. The knowledge that he shares on every trip whether we are in the bay or chasing tarpon in the gulf is priceless. I would recommend him for anybody that wants to have fun or wants to learn more and step up their fishing game. Captain LG Boyd has amazing customer service. In all of the videos that we recorded, you can hear him encouraging the kids to real in the shark. 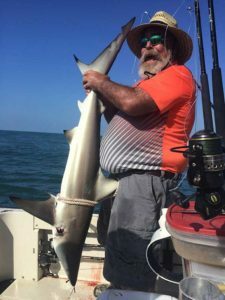 He truly cares about the entire fishing experience with all his clients. I highly recommend him with kids and adults! I’ve been on two trips with Captain LG with my 11 year old and we have a blast every time. 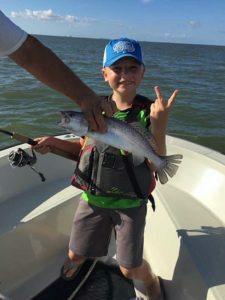 Captain LG knows Galveston like the back of his hand and will put you on the fish. He is great with kids and is a true conservationist at heart. Our family will keep coming back as long as we can.